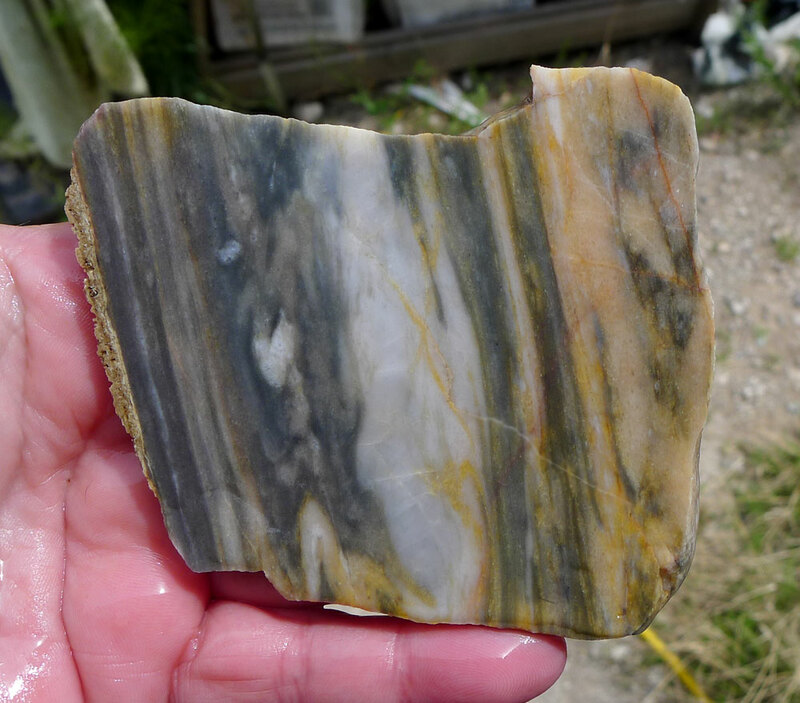 Zebra Marble for Lapidary Artists, Cabochon makers or those who collect Unique Raw Stone Slices. Rincon Zebra Marble features swirls of grey-black, white and ochre with hints of red. This Arizona material will make some unique cabochons. You'll receive the EXACT Rincon Zebra Marble Slice Pictured. Weight : 3.25 oz. - 92.14 gr. - 460.68 ct. 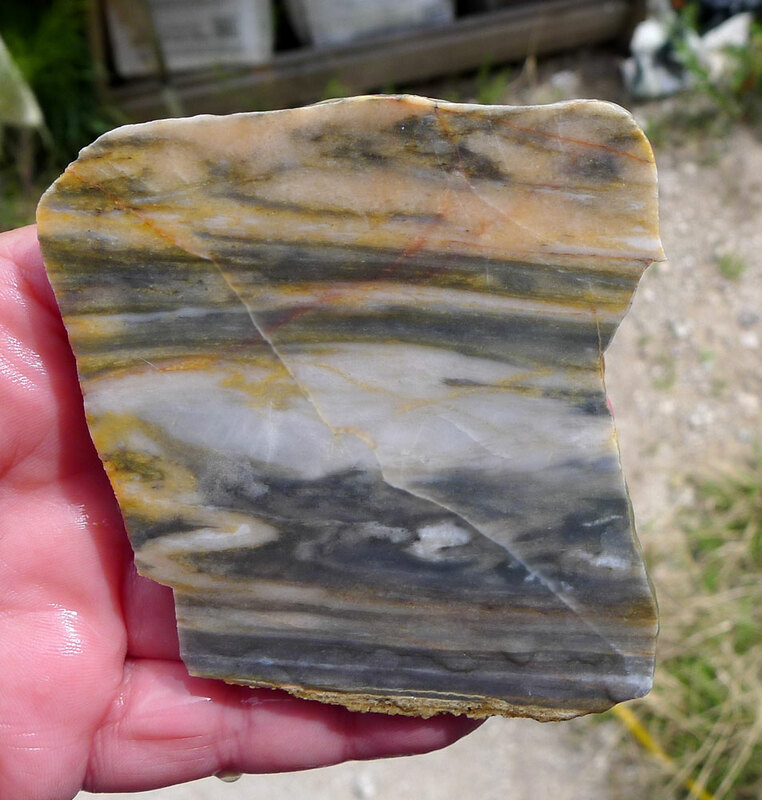 This Arizona Zebra Marble material was found in the Little Rincon Mountains in Cochise County, Arizona. The Little Rincons are a small range of mountains, lying to the east of the Rincon Mountains in northwest Cochise County and is part of the western border of the San Pedro River and Valley, the major valley and river of western Cochise County. Metaphysically, marble is said to enhance feelings of serenity and can can provide "good common sense" in matters of the home and heart. Some use to enhance total recall of dreams, provide protection, stability and structure for both the physical and emotional mind. Chakra(s): Root. 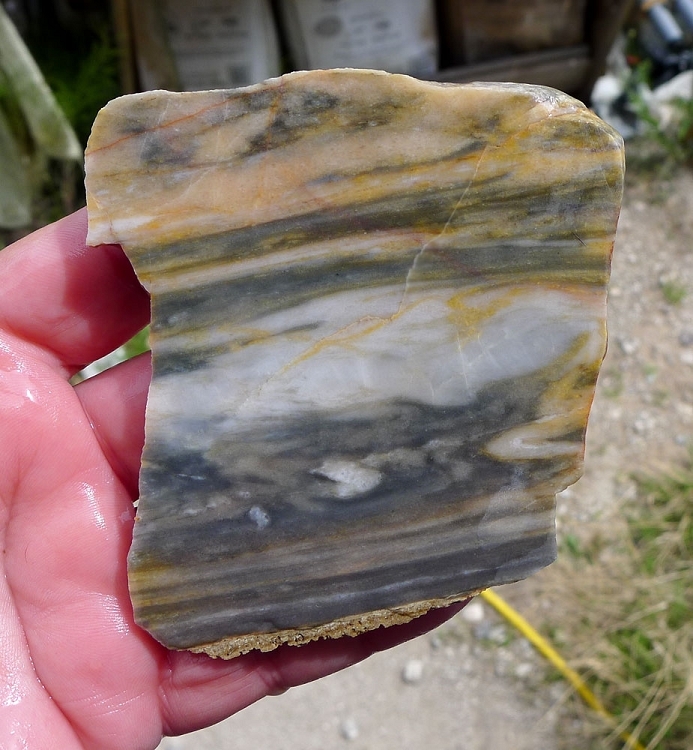 Please Note: This is a lapidary rough slab; it is not polished. 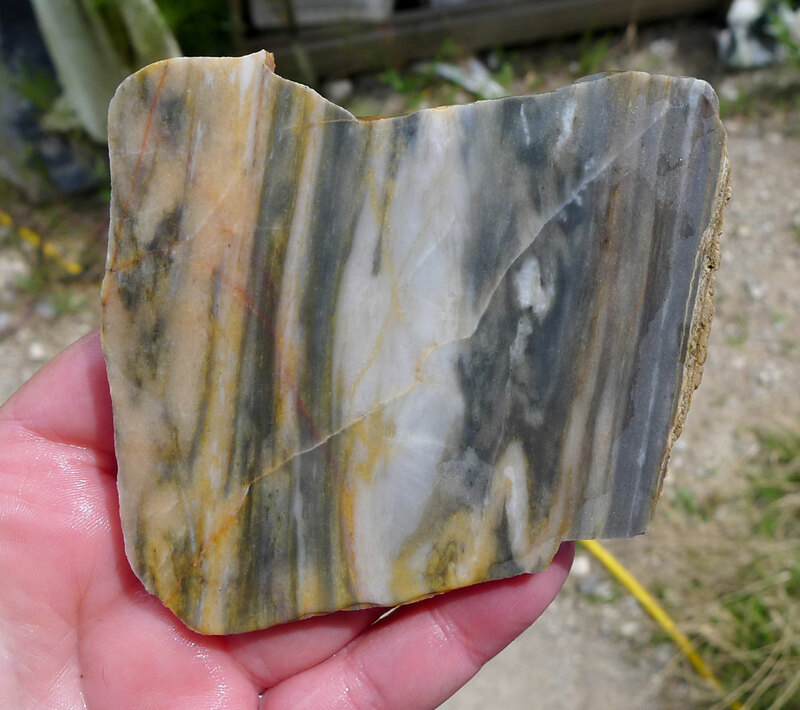 - Slabs are Cut in-house by Michelle of Silver Enchantments LLC here in the USA - There are some light saw marks that will not effect your cabochons. - Edges are rough and natural - Pictures taken Outdoors - Shown both Wet and Dry. - Measurements are given in total outside/widest points. - I try to show the most accurate photo possible, but there can be color variations due to monitor settings. - I try to note any excessive issues, but please zoom in to examine for any flaws. - I cannot be responsible for fractures, vugs or blemishes from mother nature. - Photo prop(s), cabochon example(s), etc. are not included.